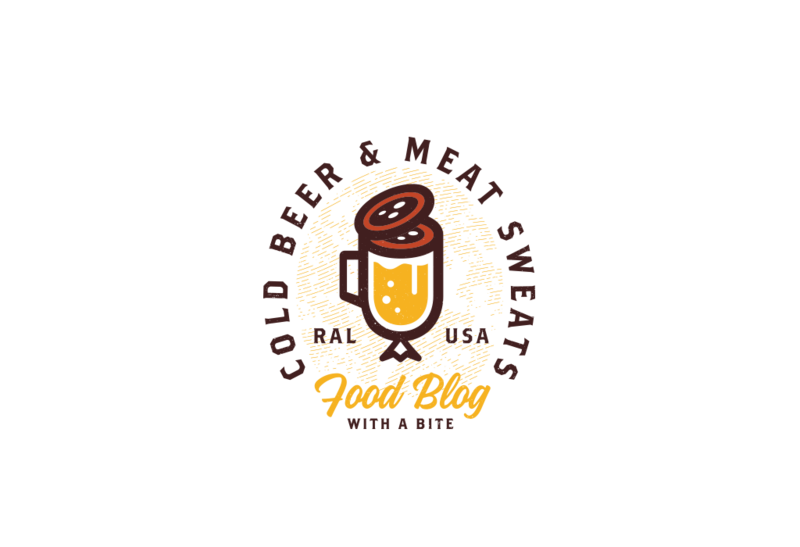 Planning a meal for one night alone can be a headache, but planning for 4 meals?! Who would ever do that?! Me! And now, you! By making these chicken breasts in advanced, you can have your own back practically all week long! I made these Baked Chicken Breasts on Sunday, then had dinner in minutes for four days in a row! To help, I have pre-planned some meal ideas for you! With Baked Chicken already made I was able to quickly make these 4 meals each night of the week. 1. 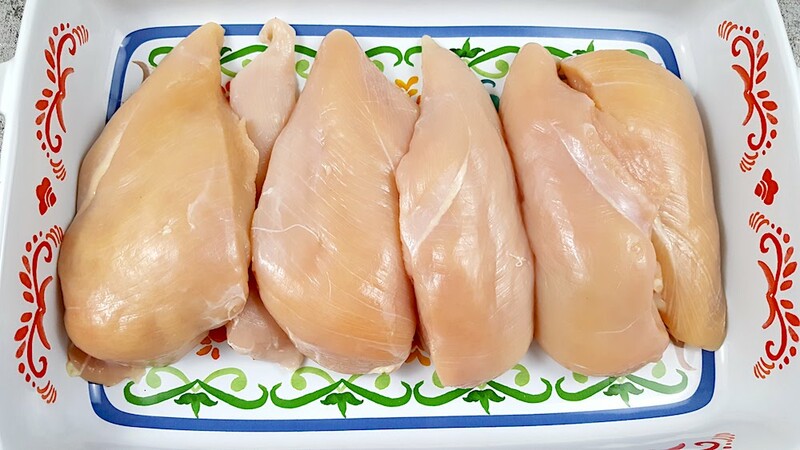 Rinse and pat dry with clean cloth or paper towels, 6 whole boneless skinless chicken breasts. 2. 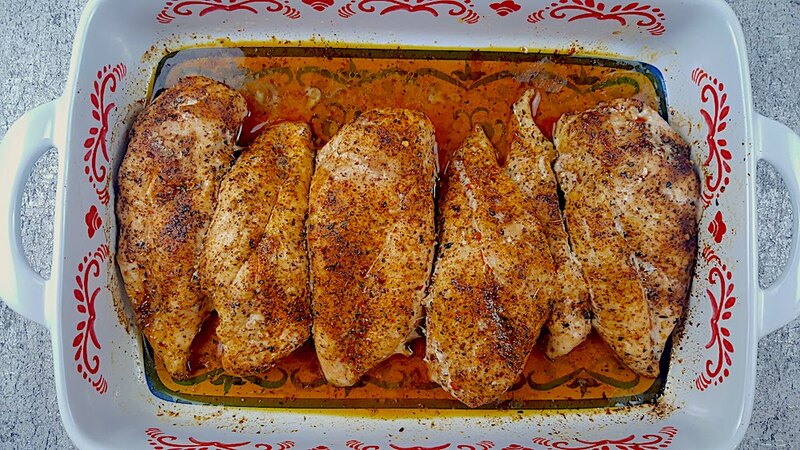 Place the 6 chicken breasts into a large rectangle shaped oven safe baking dish and drizzle with EVOO. 3. Flip each one over a few times to make sure all surfaces of the chicken breasts are coated. 4. 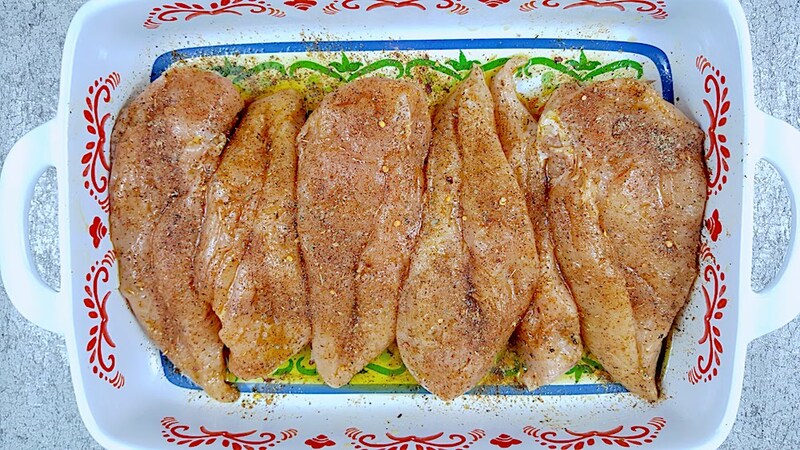 Using The Only Poultry Spice Seasoning You’ll Ever Need, sprinkle a generous amount over all of the chicken, flip, and sprinkle again making sure all of them have an even amount. 5. Bake at 365 until an internal temperature of 165 has been reached. By making these chicken breasts in advanced, you can have your own back practically all week long! I made these Baked Chicken Breasts on Sunday, then had dinner in minutes for four days in a row!